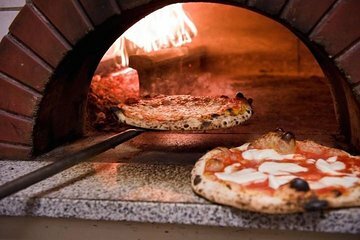 Domina los pasos para preparar deliciosas pizzas italianas a la manera tradicional. Su instructor comparte consejos prácticos para obtener resultados perfectos en todo momento. We had to wait about 30-40 minutes as they were running late. The pizza making was fun for the kids, but it said full dinner and all we got was the pizza we made. They brought us no appetizers or salad or the bruschetta that looked so good. No one waited on us and we had to ask for drinks and to go boxes ourselves. The chef left once we were eating and we were pretty much forgotten about.